The Church of the Holy Sepulchre, known as the Church of the Resurrection (Anastasis) to Eastern Orthodox Christians, is a church in the Old City of Jerusalem that is the holiest Christian site in the world. It stands on a site that is believed to encompass both Golgotha, or Calvary, where Jesus was crucified, and the tomb (sepulchre) where he was buried. The Church of the Holy Sepulchre has been an important pilgrimage destination since the 4th century. 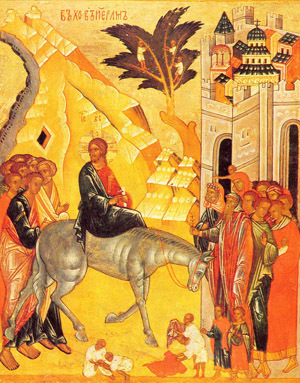 The early Christian community of Jerusalem appears to have held liturgical celebrations at Christ's tomb from the time of the resurrection until the city was taken by the Romans in 66 AD. Less than a century later, in 135 AD, Emperor Hadrian filled in the quarry to provide a level foundation for a temple to Aphrodite. The site remained buried beneath the pagan temple until Emperor Constantine the Great converted to Christianity in 312 AD. He soon showed an interest in the holy places associated with his new faith, and commissioned numerous churches to be built throughout the Holy Land. The most important of these, the Church of the Holy Sepulchre, was begun in 326 AD. Constantine's builders dug away the hillside to leave the rock-hewn tomb of Christ isolated and with enough room to built a church around it. They also cleared away Hadrian's temple and the material with which an old quarry had been filled to provide the temple's foundations. In the process, according to contemporary Christian historians, the Rock of Golgotha was found. The Church was formally dedicated in 335 with an oration by Constantine's biographer, Eusebius of Caesarea. 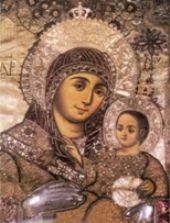 In the course of the excavations, Constantine's mother St. Helena is said to have discovered the True Cross near the tomb. This is a relatively early legend, but was unknown by Eusebius, the historian and contemporary of Constantine. The legend says St. Helena actually discovered three crosses - those of the two thieves and that of Christ. To discern the one belonging to Christ, a sick man was brought to touch to each one, and he was miraculously healed by one of them. The Constantinian church was much larger than the one that stands today, but had a simpler layout. It consisted of an atrium (which reused part of Hadrian's temenos wall), a covered basilica, an open courtyard with the stone of Golgotha in the southeast corner, and the tomb of Christ, enshrined in a small, circular edifice. The tomb of Christ was not completed until 384 AD, well after the dedication of the church, because of the immense labor involved in cutting away the rock cliff in order to isolate the tomb. This building was severely damaged by fire in 614 AD when the Persians invaded Jerusalem. They also captured the True Cross, but in 630, Emperor Heraclius marched triumphantly into Jerusalem and restored the True Cross to the rebuilt Church of the Holy Sepulchre. 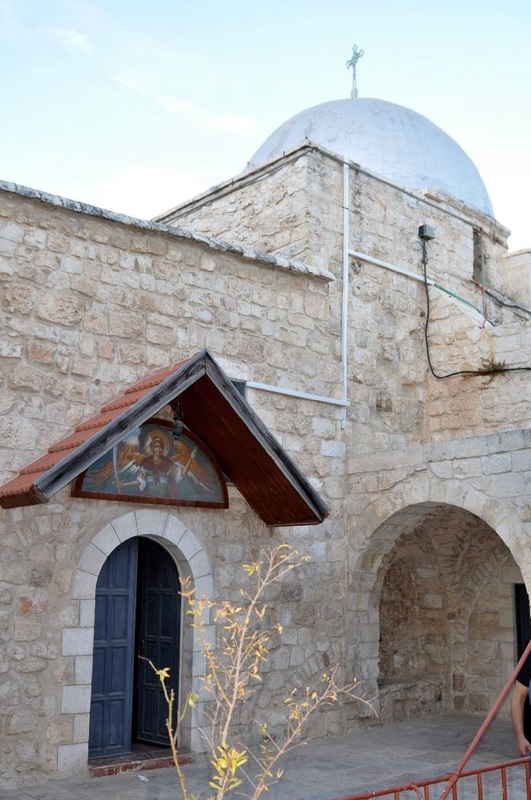 The church was reconstructed under the patriarch Modestus with no major changes to the original plan. In 638, the Christians were forced to surrender Jerusalem to Muslim control under caliph Omar. In a remarkable gesture for the time, Omar refused to pray in the Church of the Holy Sepulchre, saying, "If I had prayed in the church it would have been lost to you, for the Believers [Muslims] would have taken it saying: Omar prayed here." This act of generosity would have unfortunate consequences, however. The Church of the Holy Sepulchre continued to function as a Christian church under the protection of Omar and the early Muslim rulers, but this changed on October 18, 1009, when the "mad" Fatimid caliph Hakim brutally and systematically destroyed the great church. Ironically, if Omar had turned the church into a mosque, Hakim would have left it alone. But instead, Hakim had wrecking crews knock over the walls and he attacked the tomb of Christ with pricks and hammers, stopping only when the debris covered the remains. The east and west walls were completely destroyed, but the north and south walls were likely protected by the rubble from further damage. 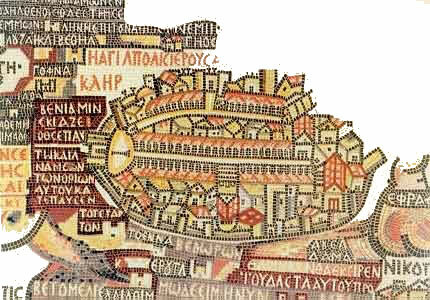 The Christian community of Jerusalem could not afford repairs, but in 1048 Emperor Constantine Monomachos provided money for reconstruction, subject to stringent conditions imposed by the caliphate. The funds were not adequate to completely repair the original church, however, and a large part of it had to be abandoned. The atrium and the basilica were completely lost; only the courtyard and the rotunda remained. The latter was made into a church by the insertion of a large apse into the facade. This was the church to which the knights of the First Crusade arrived to sing their Te Deum after capturing Jerusalem on July 15, 1099. The Crusader chief Godfrey of Bouillon, who became the first king of Jerusalem, declared himself Advocatus Sancti Sepulchri, "Defender of the Holy Sepulchre." The Crusaders were slow to renovate the church, only beginning to make modifications in the Romanesque style in 1112. They first built a monastery where the Constantinian basilica used to be, having first excavated the Crypt of St. Helena. In 1119 the shrine of Christ's tomb was replaced. The coronation of Fulk and Melisende at the church in 1131 necessitated more radical modifications. The Constantinian courtyard was covered with a Romanesque church (dedicated in 1149), which was connected to the rotunda by a great arched opening resulting from the demolition of the 11th-century apse. A bell tower was added in 1170. Not until 1959 did the three major communities (Latins, Greeks, Armenians) agree on a major renovation plan. The guiding principle was that only elements incapable of fulfilling their structural function would be replaced. Local masons were trained to trim stone in the style of the 11th century for the rotunda, and in the 12th-century style for the church. See our Holy Sepulchre Photo Gallery for a virtual tour of the following sights.